« FLUOPTICS© has been experiencing accelerated growth in the past months, thanks to solid market demand and international expansion. Our strong presence in Europe has positioned our Company as the leading fluorescence solution provider in Europe where we are the company with the most number of machines installed…» said Odile Allard, CEO and Co-Founder of FLUOPTICS©. With sales in more than 16 countries, FLUOPTICS© is leading the European market of NIR (Near Infra-Red) fluorescence in open surgery. Today over 15000 surgical procedures have been performed with the FLUOBEAM® systems. «We have reached an important milestone with the integration of our systems in over 150 hospitals. Reaching this symbolic milestone, we are ahead of plans and this not only confirms that there is a positive market trend, but also that the performance of the products that we offer meets the market demand…» said Odile Allard. Today, FLUOPTICS© turnover growth is driven by two distinctive markets: breast reconstruction and thyroid surgery. Breast and plastic reconstruction using ICG (Indocyanine Green) injection has been the historical market for fluorescence imaging for FLUOPTICS©. FLUOBEAM® enables surgeons to assess the quality of tissue perfusion. In thyroid surgery, a new indication for which no injection is required, FLUOBEAM® allows the surgeon to identify by autofluorescence and in real-time parathyroid glands and to preserve them during surgery. Thyroid surgery has gained increasing importance within FLUOPTICS© portfolio and is becoming its fastest growing indication. FLUOBEAM® is the first and only certified CE MED device in this market. 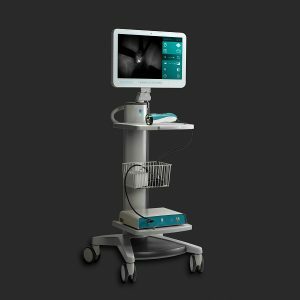 FLUOBEAM® provides unique, precise and non-invasive real time information, ensuring that thyroid surgeons operate in the best possible conditions. 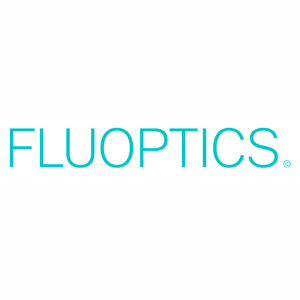 The competition of FLUOPTICS© are major players which have been extremely buoyant, STRYKER acquiring NOVADAQ, MEDTRONIC acquiring VISIONSENSE, HAMAMASTU, ALLERGAN and JOHNSON & JOHNSON. In this fierce competition, FLUOPTICS© has built a leading position around strategic pillars: commercial drive, expertise and presence in Europe and product unique ergonomic features. Surgeons confirm that FLUOBEAM® is extremely handy, requiring less than half a day of training to get perfectly acquainted with the technology. Key Opinion Leaders claim that once they have used FLUOBEAM® they can’t operate without it. And Dr. Michael Falluco, from Jacksonville, Florida, one of their KOL using FLUOBEAM® states, « ….it helps me to make real time decisions on the spot …. », FLUOBEAM®’s flexibility across a large set of indications illustrates fully FLUOPTICS© huge potential. «Every day we are getting enthusiastic comments from our KOL who are working hand in hand with our technical and clinical teams. New applications are in the pipeline and I am confident that this technology will rapidly become standard in each operating room worldwide » concluded Odile Allard. cardiovascular surgery and hepatic surgery. Headquartered in Minatec (Grenoble – France) and in Boston (USA) in the United States, Fluoptics has 23 employees. In 2017, FLUOPTICS© recorded a consolidated turnover of 2.7 M€.